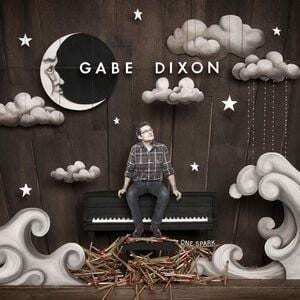 Gabe Dixon's solo debut album "One Spark"
Gabe Dixon spends most of his first solo album, “One Spark,” singing about someone else. And yet, somewhere in the twelve tracks, the listener starts to figure out who Gabe Dixon is, and that is the success of his debut album. Dixon began his musical career at the University of Miami in 1998 when he started The Gabe Dixon Band with two other students. Since then, he’s played keyboard with Paul McCartney and performed with the group Supertramp before deciding to produce an album of his own. The album opens on a strong note with “Strike,” a sunny song with a nod to old-school rhythms. The self-propelling lyrics introduce the relationship that drives the rest of the album, suggesting an innocence that gives Dixon credibility as a songwriter. It is this sincerity that is Dixon’s strongest asset. In “I Can See You Shine,” Dixon’s lyrics are unapologetically bare as his own strength wavers, singing “I want to love you for a little while, or as long as you like.” The combination of honesty and musicality elevates the album. The album only falters when Dixon’s earnestness gives way and he becomes referential. He plays with other genres and tones throughout the album, namely in “Holiday” and “Lucky to Be Lost,” but his range seems restricted by the clichés of pop. Some of the tracks in the first half of the album (“Even the Rain,” “On A Day Just Like Today”) bleed together into a collection of love songs that, while still nice to listen to, fail to capitalize on Dixon’s talent. The capable album ends on a soundtrack-worthy song, “Lucky to Be Lost,” leaving the listener aware of who Gabe Dixon is, as a person and as a musician. This intimacy may, however, leave you wanting more from him because you know it’s there. We know he can sing, but what else is he capable of? I, for one, am interested in seeing how far he goes. Watch the video for “My Favorite” below and buy the album on iTunes.